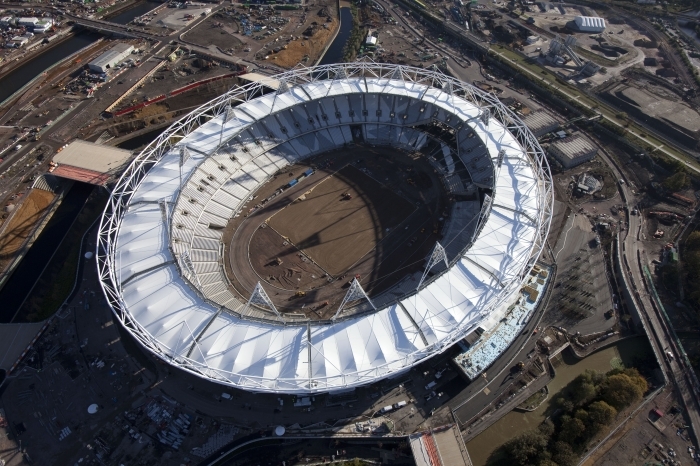 With the London Olympics 2012 kicking off today, there has been confusion surrounding the status of the event, hotel availability, and infrastructural developments to accommodate the huge influx of visitors expected to descend upon the capital. Breaking Travel News investigates. The economic impact will not be known for months after the Games, although a survey released today, commissioned by BBC News, showed that two-thirds of Brits did not expect the Games to benefit their local areas. Contrary to this, Visit Britain has revealed it hopes the event will attract 4 million extra visitors, spending £2.3bn over the next four years. It also expects its £125 million GREAT campaign to generate 50,000 jobs across the UK. “The GREAT Britain campaign is a four year overseas programme. We can’t just stop all activity after 2012 and expect tourists to come to Britain.” Explains Visit Britain Chairman, Christopher Rodrigues. “We are looking to build on the vast profile our country will receive in 2012 and use these opportunities to increase visitor numbers in the years ahead, where we will be showcasing the UK around the biggest stage of them all. Less than a year ago, hotels were being criticised for pushing up hotel prices three fold for the summer period and there were widespread fears of accommodation shortages in the city. With two weeks to go, prices are being slashed to compensate for a decrease in bookings which has been linked to mass confusion surrounding the status of hotel rooms, infrastructural developments, event ticket shortages and bad weather predicted over the Olympics. Rooms in central hotels can now be found for up to 30% below the usual rates and tickets for some West End hits are half price. While some feared that London would be full during the Games, Visit Britain’s chief always argued that London would be not only prepared for the games, but also that there would be room for visitors. “London will not be full during Games time. We have the transport infrastructure in place to deal with large events in London along with the experience of hosting huge sporting and cultural celebrations in the capital without any issues.” Christopher Rodrigues commented. 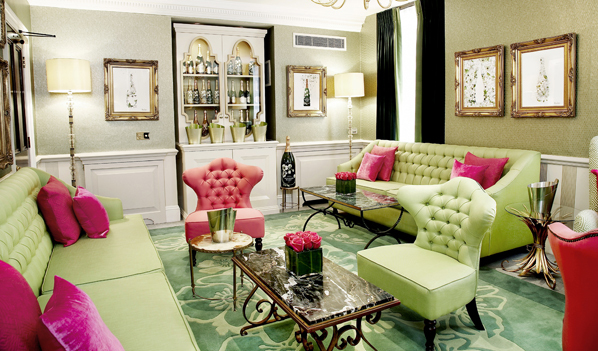 A spokesperson for leading London Hotel Dukes explained: ‘The Olympics is still proving to be a challenge from most hotels. Whilst the press are reporting that London hotels are full, there is still hotel accommodation to be sourced in the city. This recent spate of accommodation availability is thought to be partly due to long haul tour operators who have been pushing alternative European destinations as a result of sky high London hotel prices. The European Tour Operators’ Association revealed that advance bookings for the Olympics period were down 90% compared with last year. Hotels.com recently reported a drop in hotel rates during the event. The travel company reported that prices for London rooms had fallen by 25% to average rate of $248 per night during the last two weeks of June. Alison Couper from Hotels.com, a global expert in online travel, commented: “This is a once-in-a-lifetime opportunity to be part of this celebrated showcase of talent and there are some great deals and good availability to be had, particularly in west London. Airports across the UK have already begun welcoming some of the thousands of visitors expected for the Games. 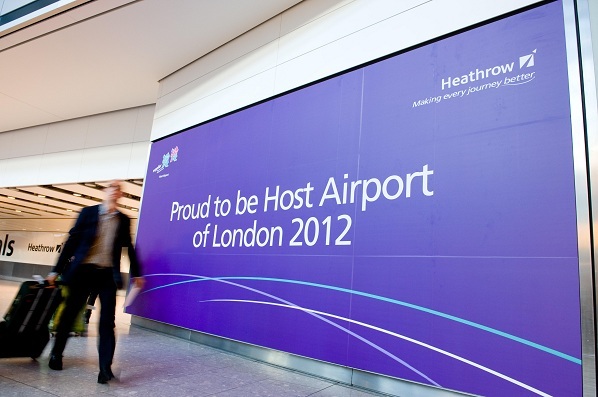 As Official Host Airport for the London 2012 Olympic Games Heathrow is expecting to facilitate 80 per cent of the several hundred thousand spectators due to attend, including more than 100,000 athletes, sponsors and VIPs. A number of initiatives are planned for the occasion, including giant welcome and Host Airport banners which will feature prominently. Large-scale photography of athletes including synchronised swimmers, track cyclists and male gymnasts will line the airport’s corridors. There will be Brightly coloured flags featuring Bearskin Guards and Beefeaters will wind along the roads around Heathrow. A host of other live events are planned including: A pre-Games appearance by the British Basketball team with the opportunity for passengers to meet the players. There will be airport walkabouts by official Olympic mascots Mandeville and Wenlock. In addition there will be ping-pong tables installed on each terminal forecourt so travellers can try their hand at the game. Olympic-themed art exhibitions will be in the Terminal 5 Fine Art Gallery. 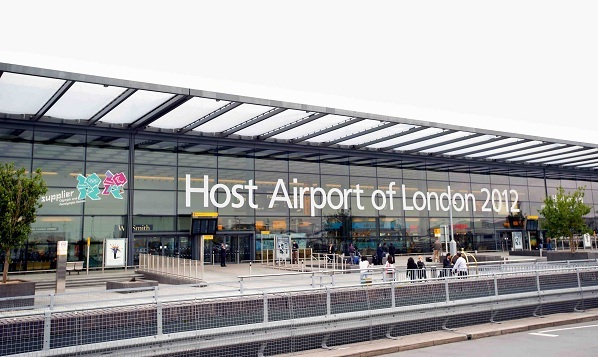 John Holland-Kaye, Heathrow commercial director at Heathrow said: “Heathrow will be the first and last impression of London 2012 for thousands of visitors. Meanwhile – despite not being an official port of entry, Gatwick expects to handle around ten per cent more passengers compared to a normal busy summer day, totalling 70,000 passengers. Over 150 airport staff volunteers are being drafted in to answer passenger questions as well as hosting around 300 Greater London Ambassadors. A ‘Travel Hub’ has been launched on Gatwick Airport’s website providing real time route planning advice as they travel to and from the airport. 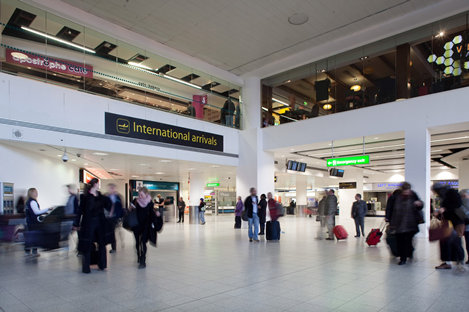 The airport has just a £1.2 billion investment programme to transform the passengers’ experience of the airport. Enhancements include speedier check-in with more self-service options; efficient security; dedicated lanes in security and the immigration halls; and a more modern and spacious arrivals halls, forecourts and interchange facilities in both terminals. “We have been working closely with LOCOG in preparation for this and we are really looking forward to it, to really embracing the Olympic spirit and ensuring our passengers have an enjoyable journey through our airport.” Added the spokesperson. Meanwhile fast-track lanes for Americans and visitors from some of the biggest countries in the Commonwealth will be set up at Heathrow Airport after the Olympics. Damian Green has revealed that the Border Force is piloting a scheme where tourists will be directed to fast-track lanes in a bid to cut queues if they are low risk. Although reports have recently emerged that temporary border staff hired to shorten the passport queues at UK airports during the Olympics have no immigration background or experience. In addition it is thought that they have only received basic training. Following last year’s London riots which led to widespread violence, there were fears as to there how London would cope with the large number of participants expected during the Olympics, combined with transportations changes and venue logistics. In order to ensure the event goes smoothly, UK officials have sought advice from US intelligence and Interpol, according to reports. There will be 12,000 police deployed at the games during peak times and 23,700 security staff, including 13.500 troops on standby, according to the Associated Press. In addition, there will be counterterrorism efforts in force. Aside from being an Olympic host city, London is a city which thrives on spectator sports and has proven time and time again how it can host major sporting events with style so here’s hoping the city can prove itself once again.